This vital new producer uses club music to confront systemic racism. Swiss-Congolese producer Bonaventure makes music that is inherently confrontational. On her new EP Free Lutangu (out now on PTP), the opening track "Supremacy" samples Sister Souljah's powerful 1992 call-to-action on Bill Moyer's Listening to America. In her speech, Souljah stresses how black young people must be "unafraid of expressing ourselves," stating unequivocally, "We are at war." On the very next track, Bonaventure — real name Soraya Lutangu —weaves together samples from black popular music including 50 Cent, Rihanna, and Ginuwine, placing them all inside one cavernous, metallic beat. Her combative reference points only pour fuel on the fire of her hard-hitting productions, signaling that she's one of the most vital new voices around. 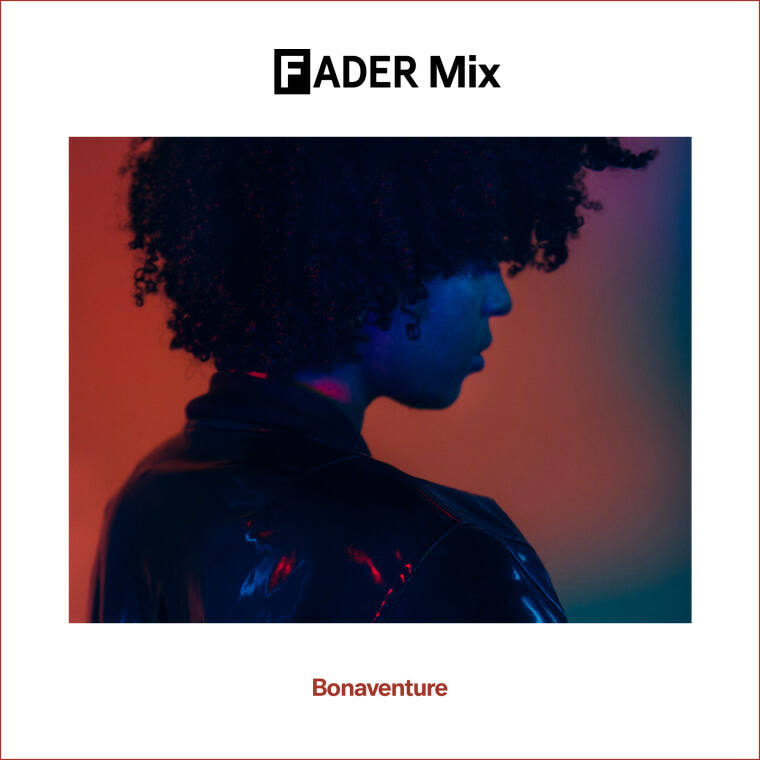 In her FADER Mix to celebrate the EP's release, Bonaventure takes us to the club via dystopia, fusing afrobeats and rap with sinister, simmering exclusives from the minds of Amnesia Scanner, Ziúr and Abyss X. Hit play below, and look out for an extremely good, kind of scary Rae Sremmurd remix. I am in my flat in Bairro Alto, Lisbon. Through all the windows you can see the blue sky and the roofs, through some of the windows you can see the ocean. It feels amazing to be in this city where summer has already been here for a few weeks. With this mix, I mean to share the music that I am listening to at the moment in a simple way, as the fan that I am. 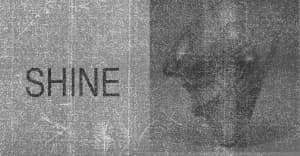 Some of the tracks comes from my friends Amnesia Scanner, Ziúr, and NUXXE (SHYGIRL, Y1640, Coucou Chloe, Sega Bodega), and some other tracks are recent discoveries of a small part of the Lisbon scene. I have this obsession with Damso, a Belgian rapper also coming from Congo, and in general there is French-speaking rap in every mix I do, as well as quick changes of mood. This one is a trip of mixed feelings rather than a technical demo. Before coming to Europe, my dad had started to collect his favorite tracks on a cassette that he would bring everywhere with him, to play in his friend’s car or in parties in Kinshasa, Paris, or Lausanne. This cassette was like a photo album to him, he would tell us so many stories about where he had recorded this or that track, what track he had to delete by doing so, and what the lyrics where about for the Lingala parts we couldn’t understand. Most of the family and his homies were sick of hearing those same tracks over and over, so the only place he would then play it was his own car, even when we would travel all together for 10-hour road trip. But after 10 to 15 years carrying the same cassette, the car was stolen, the cassette too. You're in the process of moving from Berlin to Lisbon; what inspired the change? I am very grateful for the last six years in Berlin, this city is so special and beautiful in its own way. Now I am here to enjoy my freedom and discover something else, something warmer. The vibe of Lisbon is very special, the music scene is genuinely open and so strongly linked to Angola/Congo/Brazil — not to mention the weather. I feel blessed to be in a city with a serious street credibility and the ocean. I am not sure how long I will stay, for now I see it as a kind of residency to focus on myself and develop my music in another way, with occasional returns to Germany. I will come back all fresh and tanned to Berlin on June 7 to play at the JANUS x NON XCHANGE at Saüle, the recently opened Berghain floor, and I am very excited about it. One of your EP's stand-out moments is a collaboration with artist/writer Hannah Black. How did you two meet, and why did it make sense to collaborate? Hannah and I were introduced years ago by common friend and genius set/textile designer Ebba Fransén Waldhör. We clicked and started to hang out, but it is only last year when Anastasia (Berlin Community Radio co-founder) mentioned that it would be sick to have us collaborate for the Berlin Biennale “Boat Rage Party.” After the Biennale, we [performed at] a PAN night in London, the MUMOK museum in Vienna, and last month, MoMA PS1. Our project also became an object when Hannah asked me to design the book she wrote with Juliana Huxtable titled LIFE. It is really great to be able to merge skills and blur the boundaries of what we are and what we do using different mediums. This is on-going and ever-changing. And finally, what's the last book you read that had a big impact on you? And why? Black Transparency: The right to know in the age of massive surveillance, from Metahaven. An eye-opener on the geopolitics of government secrecy and individuals/groups fighting for or against it. At the moment I am reading Americanah by the Nigerian author Chimamanda Ngozi Adichie and it is really promising. Damso, "Nwaar is the new Black"
Buy Bonaventure's new EP Free Lutangu here.